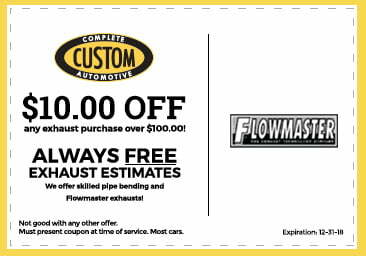 Custom Complete Automotive Can Assist You! Tires wear out over time. Sometimes, our actions can make them wear out faster: braking too forcefully, accelerating too quickly, driving fast, and even having the wrong tire pressure. All of these factors and more can contribute to the early breakdown of tires. 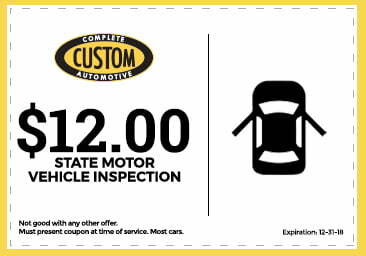 You can extend the life of your tires by taking the right measures and avoid having to purchase your tires over and over. How can you tell when your tires have worn out? 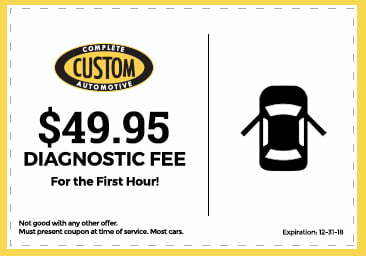 Contact Custom Complete Automotive to make an appointment. It will be worth your while to familiarize yourself with the anatomy and structure of a tire. You want to take note of the problems at the onset, before they evolve and become more serious problems later on down the line. First, look at each tire carefully. How does the tread look? Is it uneven? 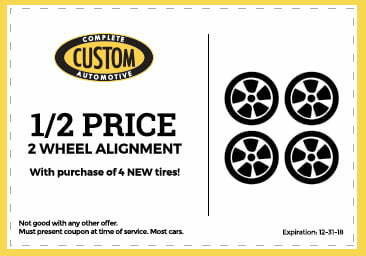 Uneven tire wear may be caused by the suspension or steering or issues with balancing or the alignment. It may also be caused by too much or too little air in the tires. More than likely, you will be able to identify the major issues that signal that you should really invest in new tires. Over time, these major issues can lead to a tire blowout—one of the most serious tire troubles. If you have ever experienced a tire blowout, then you know how scary it can be, as drivers can often lose control of their vehicle in those moments afterward. Worn out read. To look for this, do the penny test. This is where you place a penny, head-first, in one of the top grooves at the top of the tire. The tread is worn if the tread is covering Lincoln’s head. Tread pulling off of the tire. Nails, glass, and other sharp objects that are sticking out of the tire. Cracking or bulges on the sidewalls. 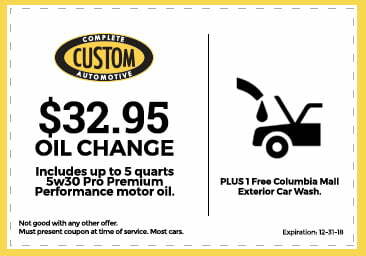 If you notice any of these problems, you must call our Columbia, MO tire service center. 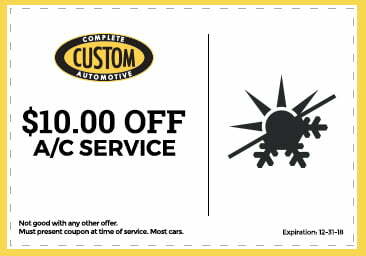 Custom Complete Automotive is one of the most widely recognized tire shops in the entire region. 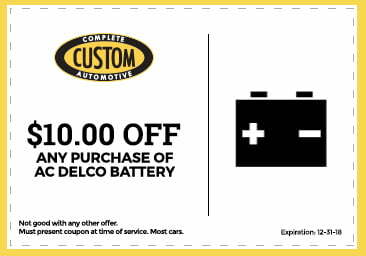 We know how important your car is to you—it is an integral part of your daily life. 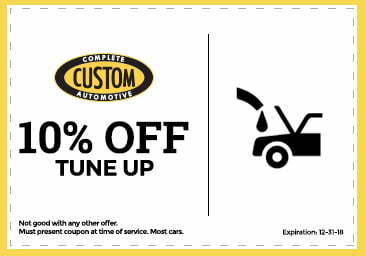 We want to help preserve and extend the life of your vehicle, especially your tires. Our service and our prices simply cannot be beat! All it takes is one phone call to begin!